King Arthur and The Young Pope star Jude Law has signed on to play the young Albus Dumbledore in Warner’s upcoming sequel to Fantastic Beasts and Where to Find Them. Variety has the scoop, confirming that Law has closed a deal to star opposite Eddie Redmayne’s Newt Scamander and the nefarious Gellert Grindelwald (Johnny Depp) in David Yates’ fantastical follow-up. Set to enter production sometime this year, we understand that Fantastic Beasts 2 takes place decades before the events of J.K. Rowling’s Harry Potter saga, at a time when Dumbledore will still be serving as the Transfiguration professor of Hogwarts. The outlet goes on to reveal that Warner Bros. considered a handful of top-tier British stars for the coveted role, including Christian Bale, Benedict Cumberbatch, Mark Strong and Jared Harris, the son of the late Richard Harris, who portrayed the legendary wizard across both Philosopher’s Stone and The Chamber of Secrets before Michael Gambon took point for Prisoner of Azkaban and beyond. 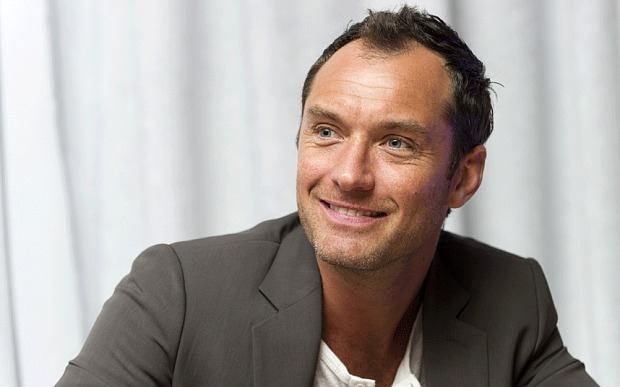 Now, it’s Jude Law’s turn to don the half-moon spectacles. Having made her screenwriting debut with the original Fantastic Beasts film, J.K. Rowling is back on script duties for the 2018 sequel alongside David Yates, who offered up an official statement to welcome Jude Law to the star-studded cast. Fantastic Beasts and Where to Find Them 2 is the next entry in Warner’s burgeoning prequel saga, one that will purportedly stretch for five movies in total, and it’ll open in theaters on November 16th, 2018.